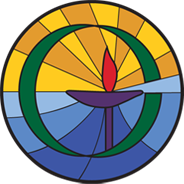 Women's Coffee Group (WOW) - 10AM "UU's Seven Principles"
10 AM Service with Rev. Jim Coakley "From Ouch to AAh!" Please bring an appetizer to pass and your own drink. Earth Justice NOW presents "Racing Extinction"
10 AM Service with Myron Eshowsky "a Shaman's Life through Story"
Facilitators Meet the second Sunday of the month at OCUUF. This group will meet on the forth Saturday of each month, at OCUUF, until further notice. Goal of the committee is to educate the congregation and the community about environmental issues and projects to support local concerns. 10 AM Service with Rev. Jim Coakley "God and Evolution"
All are welcome to attend this healing form of Hindu chant. 10 AM Service with Brian Smith "Religion and the Environment"